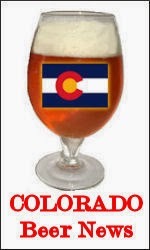 Here's what's happening around the Colorado beerosphere today Thursday, August 11th, 2011. Fresh off the Internet tap. If you have some brewery news you'd like included in the daily Colorado Beer News post please contact me today. Renegade Brewing (Denver) is looking for a sign spinner. They will pay you in beer for creative and reliable sign spinning. Email brian@renegadebrewing.com if you are interested. Aspen Brewing (Aspen) is installing their new brew system in their expanding facility. View a time lapse video of their activities. Colorado Mountain Brewery (Colo. Springs) is hosting another in the continuing summer concert series tonight on their patio. This evening featuring "Mirage" - a local alternative rock band. Music starts at 7pm. Copper Kettle Brewing (Denver) is inviting you to watch the Denver Broncos pre-season game with them at the brewery tonight. The action starts at 6:30pm but their taps will be flowing all day. Denver Beer Company (Denver) is holding a media event for the press today, one day before their official Grand Opening tomorrow, August 12th. Denver is about to meet its latest brewery. Oskar Blues Grill& Brew (Lyons) is hosting an open mike night tonight. Get your voice warmed up and bring the talent. Check their web site for times. Also tonight at Taps Sports Bar (Ft Collins) is the Oskar Blues Beer Dinner - 4 courses and great O.B. beer pairings. Keep the pint glass too! Equinox Brewing (Fort Collins) - Thursday means it's time for another Firkin tapping. Visit the brewery during mid-afternoon for a chance at a rare glass from the firkin of the week - KBBB Premium Bitter. Avery Brewing (Boulder) is sponsoring a beer dinner at Backcountry Pizza and Tap House tonight at 6:30pm. Check the August beer fest calendar for details. CAUTION: Brewing Company (Denver) will be offering up some of their beers at the Jefferson County Fair Beer Festival this Saturday. If you've never tried their beer before this is a good opportunity. Great American Beer Festival (Denver) - did you miss out on tickets? You could win a trip for two to the fest just by registering on CraftBeer.com. Winner gets airfare for 2, lodging during the festival 9/29 - 10/1 and 2 tix to all 4 sessions. Contest ends August 31, 2011 at 11:59am. Colorado Craft Beer Radio (AM 760 Denver) will be doing live remotes from the Cheeky Monk (Sept. 17th) and from Dry Dock Brewing (Sept. 24th). Also look for them at the Saturday afternoon GABF session from 12-2pm. Crooked Stave Artisan Beer Project (Fort Collins) will be hosting it's first ever bottle release party tonight at Funkwerks brewery taproom at 6pm in Fort Collins. Come try the Pure Guava Petite Sour and Wild Wild Brett Rouge and pick up a bottle or two. Black Bottle Brewery (Timnath) - has purchased two brand new 7 bbl fermenters and will be receiving them later this month. The location for this pending new brewery in Timnath should be locked down soon. Crabtree Brewing (Greeley) announces the arrival of their new packaging for their seasonal Chunkin' Pumpkin ale. Look for it in stores soon. C.B. & Potts (Highlands Ranch) announce the availability of their Saison de la Sorciere - Belgian Farmhouse ale. Colorado State Fair (Pueblo) reminds everyone that the deadline for submitting entries into the 2011 Colorado State Fair Homebrew and Craft Beer competitions is this Saturday, August 13th. Awards to be given out at Foam Fest. Pumphouse Brewery (Longmont) - it's Ladies Day at the brewery - $2.50 pints and/or House wines for the gals. Beer of the Day for the guys is Agave Blonde - $3.25 per pint. International Stout Day - mark your calendars. #StoutDay is being planned for November 3rd, 2011. You know I'll be celebrating that one. Follow @StoutDay on Twitter.